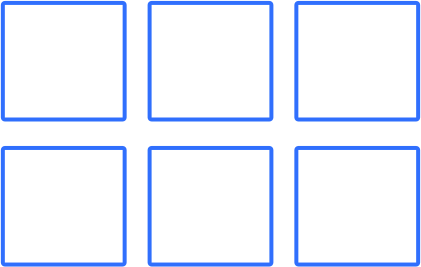 This is the second post in a two-part article for getting started with CSS Grid Layout. If you are interesting in learning more about CSS Grid and the new CSS Grid Layout feature in Firefox DevTools, visit the Firefox DevTools Playground. Each item within this grid will be placed automatically in the default order. See the Pen CSS Grid Layout – Position Items by Mozilla Developers (@mozilladevelopers) on CodePen. Now that we have a basic understanding of how to position items, we can create a basic layout. Let’s create the same layout using three different methods. For our first layout method, we won’t be introducing any new concepts. We’ll simply be using the grid-row and grid-column shorthand properties to manually place items such as a header, footer, and so on. See the Pen CSS Grid Layout – Basic Layout by Mozilla Developers (@mozilladevelopers) on CodePen. Quick tip: If you are using Firefox Quantum, you can try out the ‘display line numbers’ setting on the Firefox CSS Grid Layout Panel. Inspect the result above and select the layout panel. Here you can activate the overlay grid and check the box to ‘display line numbers’. Handy right? This tool makes it very easy to visualize your grid when positioning items. You’ll need to use Firefox Quantum to access this feature. Don’t have Quantum yet? Download Firefox Quantum Developer Edition here. Here we have defined three columns and four rows. Instead of placing each individual item, we can define the entire layout using the grid-template-areas property. We can then assign those areas to each grid item using the grid-area property. See the Pen CSS Grid Layout – Template Areas by Mozilla Developers (@mozilladevelopers) on CodePen. Quick Tip: Did you know that FireFox DevTools can display the area names? Try it out! Inspect the grid above and open the layout panel. From here you can toggle the overlay grid and the ‘Display Area Names’ feature. You’ll need Firefox Quantum to have access to this feature. You’ll need to use Firefox Quantum to access this feature. Don’t have Quantum yet? Download Firefox Quantum Developer Edition here. We have placed an item on the grid by providing the grid-column and grid-row properties with specific grid lines. We can also name some or all of those grid lines when defining a grid. This allows us to use those names instead of grid lines. See the Pen CSS Grid Layout – Named Lines by Mozilla Developers (@mozilladevelopers) on CodePen. Quick Tip: Did you know you can customize the color of the grid overlay in Firefox DevTools? The above example is on a white background, and the default purple may not be the best color to use. When selecting an overlay grid to display, you will see a circle next to the grid name that indicates the color of the overlay. Click on that circle, and you can customize the color to whatever you’d like. Try a different color, such as red. You’ll need to use Firefox Quantum to access this feature. Don’t have Quantum yet? Download Firefox Quantum Developer Edition here. That’s a wrap on getting started with CSS Grid Layout. You can visit our playground for the full guide on how to get started with CSS Grid Layout. If you are ready to dive deeper intoCSS Grid Layout is completely changing the game for web design. It allows us to create complex layouts on the web using simple CSS. 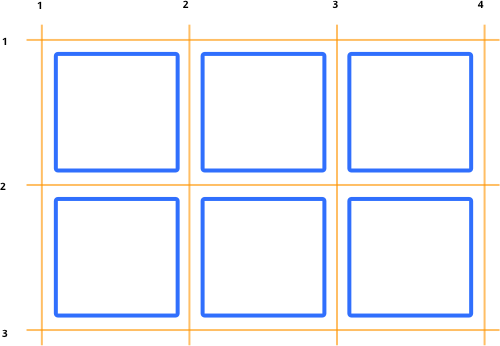 Part 2 CSS Grid Layout, check out the excellent guides on MDN. I just wanted to say thank you for this 2 part series. I have been looking at CSS Grid for some time but haven’t jumped in. Your posts with examples have really helped get my head around this. Great job! which I also find easier to read.